In February and March of 2019, Portland Bolt shipped 35,000 lbs. 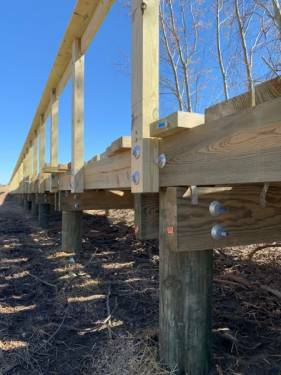 of custom domestic A307 Grade A bolts for the Cross County Connector Trail in Grasonville, Maryland. 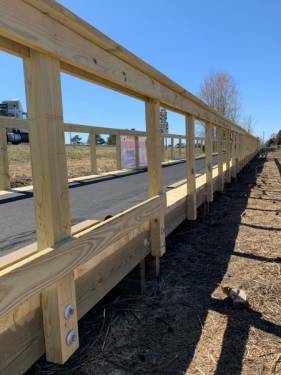 This project extends the current Cross Island Trail approximately 1.2 miles with a ten-foot wide trail consisting of 4,323 linear feet of elevated path. 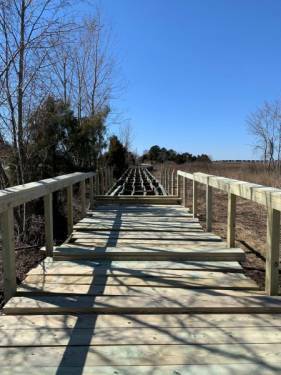 The trail will predominantly be boardwalk over marshlands and water and will include observation areas. Portland Bolt was a perfect fit to get this job done. We stock domestic A307 Grade A Hex Bolts and were able to ship 1,600 lbs. 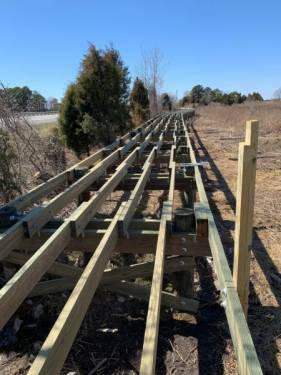 of bolts the day after the order was placed. The balance of the order consisting of galvanized hex bolts, carriage bolts, and lag screws shipped in a matter of weeks. All these orders shipped on time because we track every job through our manufacturing facility, and we can make sure we hit tight deadlines that our customers need.